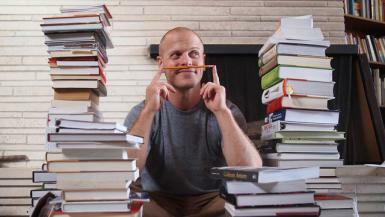 I recently had the chance to catch up with Tim Ferriss, the famed NY Times Best-selling author of The 4 Hour Workweek, entrepreneur, and investor. Amongst many accomplishments, Tim is widely known for having established how modern day authors successfully launch onto the best-seller list. He’s also an early investor and advisor to Facebook, Twitter, Uber, Wealthfront, and CreativeLive. Tim has been a pro at building meaningful business relationships and leveraging his strengths to drive value for his partners, rather than being just another wantrepreneur asking everyone for a favor. There’s a lot to be said for learning how to deliver value to others before asking for anything in return. Learning this lesson early on in your career will significantly help you in accomplishing your goals. So, what’s Tim’s single best piece of business advice? Choose Your Friends Wisely. I couldn’t agree more with Tim. Who you associate yourself with most – from your friends, to your colleagues, business partners, family members, and even your significant other – will have a huge impact on shaping your habits, behaviors, and tendencies. It’s essential that everyone in your life be a positive influence on helping you shape yourself into the person you want to become. If you choose to surround yourself with people who have a strong will, and a high amount of self-discipline, chances are that great quality is going to rub off on you quite a bit. When most people are running low on motivation and self-control, they tend to seek out connection with others who have a higher measure of self-discipline. I’ve learned this lesson myself, the hard way. In one of my own businesses, I chose to launch it with my best friend as a business partner. While we’re both highly self-motivated, it’s inevitable that we experienced ups and downs in our motivation levels. Because we’re good friends, it was much easier to let each other slack off, as opposed to holding each other accountable for delivering on our objectives. Who you decide to start a business with, and how you shape that relationship will be a major contributor to what you’ll be able to accomplish with your company. Over on CreativeLive’s blog, I also share the single best piece of business advice from several more seasoned entrepreneurs including Guy Kawasaki, Sheryl Sandberg, Lewis Howes and more. The common thread I’ve begun to see emerging from my conversations with these business leaders, is that you’re only going to become successful if you’re not afraid to get out into the world and risk failure – a lot. It’s what you learn from your failures, and how you use them to grow as a person, that’ll go on to define how successful you become in your own business.